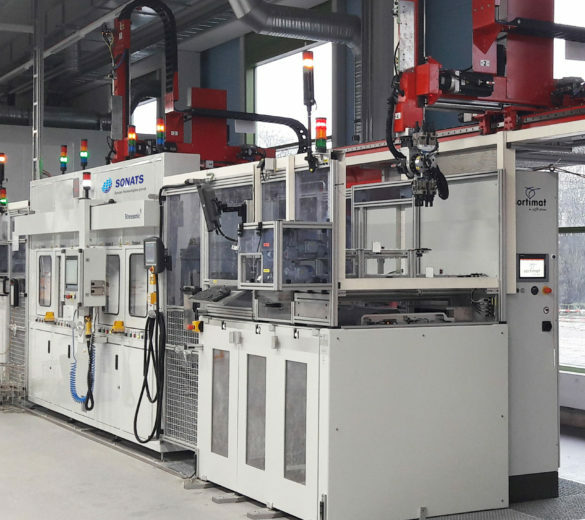 SONATS develops automated shot peening equipment, equipped with STRESSONIC® process, to improve productivity by reducing the shot peening cycle time and the risk of human error via real-time control of parameters. According to our analysis of the customer needs, and according to the treatment required, our technicians and mechanical engineers design customzied machines with various degrees of automation. Automated ultrasonic shot peening solutions are available for many applications and are approved by major prime contractors in the aerospace, automotive, energy and many other industries. To meet your needs, SONATS also proposes subcontracting in the case of offloading or series production. Design and completion of an automated robot machine for the treatment of a turbocharger (turbine, compressor wheel) and gears (output shaft, crown, pinion) to be directly integrated into the production line. 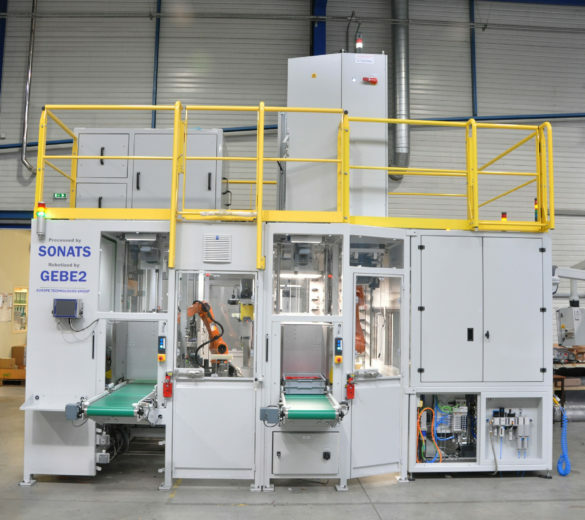 This machine was developed with a high degree of automation to respond to high speeds: robot loading via two robots installing and removing the parts to be treated, automatic counting and distribution of the beads, comprehensive supervision and quality report. 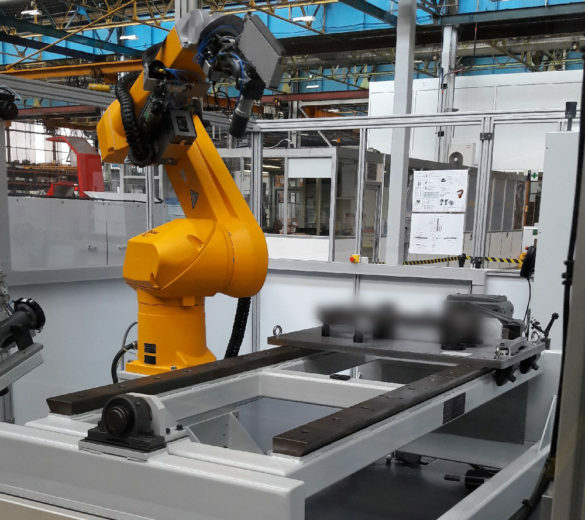 Development of a customized machine equipped with an ultrasonic shot peening machine for the treatment of parts and a robot for the automatic change of tooling in the storage areas. This specific design is used to treat different areas of the same parts as well as pieces of various shapes. Design and completion of an automated robotic machine to respond to the challenge of a high rate of parts with a short cycle treatment. This cell is equipped with two robotic stations for picking up and removing aeronautical parts (blades, blade roots) in the treatment chamber.